Trailers are wheeled structures that are designed to be attached and towed by vehicles. They can provide you with some much needed additional space and help you to easily transport items. Many people choose to use trailers as a way to take additional belongings with them on road trips or camping trips, while they can also be used to store inventory or machinery that your business uses. With so many different types of trailers out there it can be tough to know what’s what. This article provides some top tips that will help you to choose the best type of trailer for your needs in no time. The first thing to think about is the main reason why you want to buy a trailer. Is it to carry equipment for your business? Or do you want to make your camping holidays more comfortable and fun? There are a range of trailers to suit every need, including utility trailers, landscape trailers, dump trailers, sandrail trailers, tilt bed trailers, ATV and UTV trailers, storage trailers, bug out trailers and vendor trailers. Trailers also come in a selection of sizes. The size that you choose should depend on the size and power of the vehicle that you are using to tow it, along with how much additional space you require. 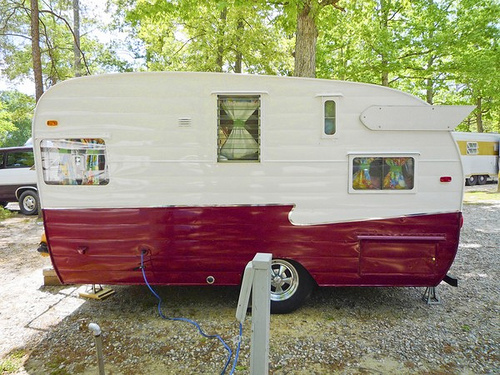 It is also a good idea to think about the amount of space that you have free in your driveway to make sure that you can easily accommodate the trailer. If you are purchasing the trailer as a vendor then you may want to think about the style of the trailer. Choose something that is attractive, professional and that reflects your businesses brand. There are plenty of ways that you can customize the trailer in order to make it look more unique. You can browse through the different styles of trailers available by looking on the vendor’s website, or you can choose to go and see them in person. There are a huge number of accessories and parts that are designed for use with trailers. These can be used to replace damaged parts, or just upgrade the look and feel of the original trailer. Awnings make a lovely accessory for camping trailers as they will provide you with some shade when the sun gets too hot. Other trailer parts and accessories include tires, fenders, lighting, axles, platform, doors, engine stands, fuel jugs and picnic pals. Once you have decided on the best type of trailer for your needs, it is also important that you find the right retailer. It is a good idea to purchase from a trailer specialist. They will have the largest selection of all the latest and most popular models. If you are still unsure as to the best type of trailer to purchase then you can talk to the specialist who will be able to listen to your requirements and recommend the best type for your needs. Good luck.